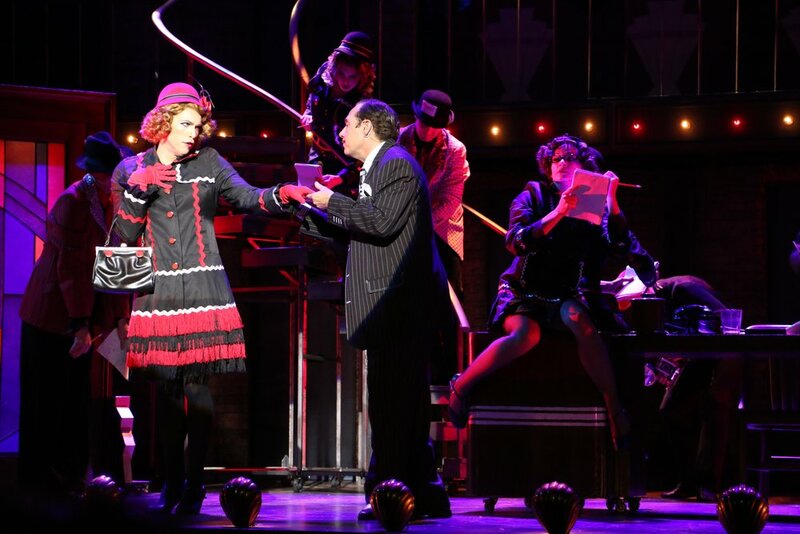 Winner of seven Tony Awards, including Best Revival of a Musical, Chicago holds the record for the longest-running revival and the longest-running American musical in Broadway history. 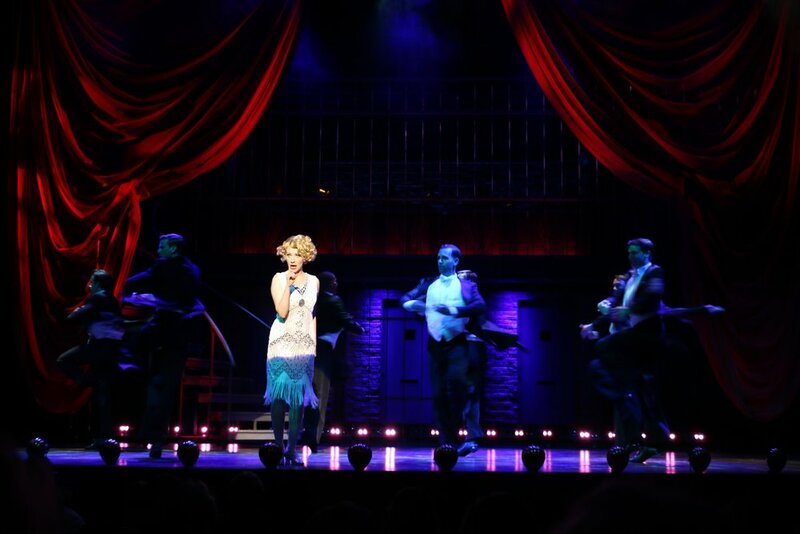 Set in Prohibition-era Chicago, the show follows chorus girl Roxie Hart and her murder of a faithless lover. She convinces her hapless husband Amos to take the rap, but he when finds out the truth, he turns on her. Convicted and sent to death row, Roxie and Velma Kelly, another “merry murderess, “ vie for the spotlight and the headlines, ultimately joining forces in search of the "American Dream": fame, fortune and acquittal. 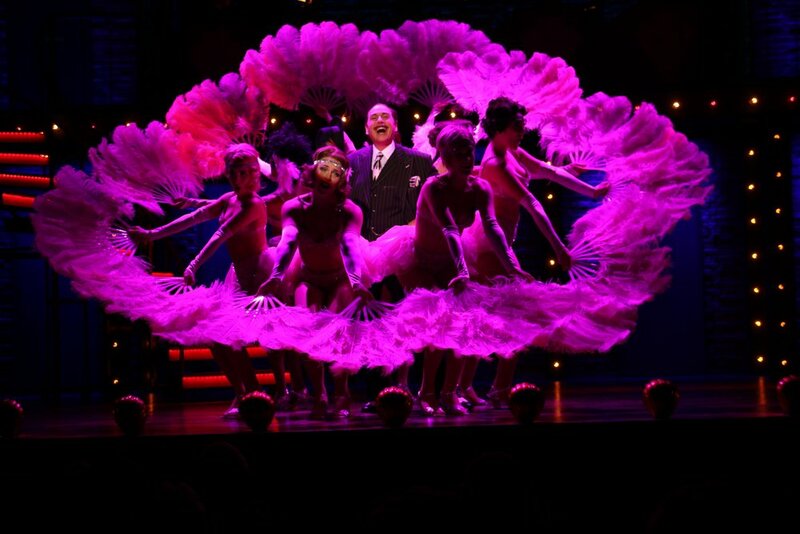 Filled with a stunning score, Chicago will "razzle dazzle" you. ALL REMAINING PERFORMANCES ARE SOLD-OUT! This course will examine the original production of Chicago, the historical context surrounding the show's creation (from its inspired roots in the 1920s to the urban lifestyles of the 1970s), and Bob Fosse's goals and explorations within the piece. Get an entertaining, story-filled tour backstage and see the set designs and props up close. Meet some of the talented people that make it all happen. Learn more about how the shows are created and brought to life on stage. The tours last roughly one hour, the cost is $5 per person / Free for Members ($100 or more donors). "Riverside Theatre to Hit the Cell Block with CHICAGO This January"
"Landmark musical 'Chicago' at Riverside Theatre is sin-sational"
Andrés is a NYC based actor from Ft. Myers, FL. National Tours: West Side Story (Bernardo), Flashdance (Joe/ensemble) Regional: Paper Mill Playhouse, Asolo Rep, North Shore, Merry Go Round Playhouse and Lyric Theatre of OK. Favorite professional credits: Grease (Danny), A Chorus Line (Al), and Ragtime (Houdini). BFA Music Theatre from Florida State University and proud member of AEA. Special thanks to Richard, the cast/crew and the staff at Riverside Theatre. Annelise is excited to debut at Riverside Theatre in Chicago! Her recent credits include Jeannie Muldoon in Nice Work If You Can Get It at Theater at the Center in Munster, IL, and Frou Frou in Susan Stroman’s The Merry Widow at the Lyric Opera of Chicago. Other credits include All Shook Up (Theater at the Center), Oklahoma (Paramount Theatre), West Side Story (Drury Lane Theatre), 39 Steps and Spamalot (Jean’s Playhouse). She is originally from Newton, MA and graduated with a BA in Theatre from Northwestern University in 2014. She would like to thank her family and friends for their wonderful support. Jordan is thrilled to be making his debut at Riverside Theatre! Originally from Odessa, Texas, Jordan graduated from Oklahoma City University with his BPA in Dance Performance. He has gathered many regional performance credits: Lyric Theatre of Oklahoma: Oklahoma! (Tom), Big Fish (Zacky Price), Mary Poppins, Billy Elliot (Older Billy), The Drowsy Chaperone (Robert Martin), and The Wizard of Oz (Tin Man). He can also be seen in the well- known T.V. series “Medium” and “Ghost Whisperer.” Jordan would like to thank his family and friends for the continual love and support. Enjoy the show! Erin is thrilled to make her Riverside debut! Performing has brought her to 5 continents, more than 35 countries and 48 states. Off-Broadway: A Tree Grows In Brooklyn. 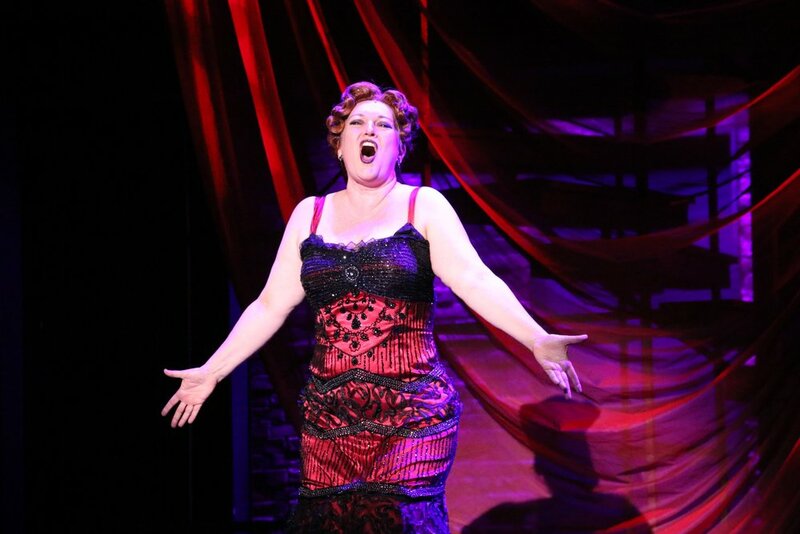 Tours: Wonderful Town, Dirty Rotten Scoundrels, CATS, Hello, Dolly! Favorite Regional Credits: Babette in Beauty and the Beast and Alana in The Little Mermaid at Alabama Shakespeare Festival, Victor Victoria at TUTS, Show Boat at Westchester Broadway Theatre. Erin has run 23 marathons and is an Ironman triathlete. This one is for my grandparents who live up the road in Sebastian! Deepest gratitude to Richard and heaps of love to my ever supportive family. Joseph is thrilled to spend the holidays in Vero Beach with Chicago! Off-Broadway: York Theatre, Theatre Row, New World Stages. Tours: Radio City Christmas Spectacular, Hello Dolly with Sally Struthers. Regional: Paper Mill Playhouse, North Carolina Theatre, TUTS, Pioneer Theatre. Namaste to Richard Stafford, ATB Talent, the staff of Riverside and Corey. Kaitlyn is delighted to be making her Riverside debut, and tickled to be making a complete one-eighty after playing Ella in the First National Tour of Rodgers and Hammerstein’s Cinderella most of last year! Broadway: Cinderella (Ensemble u/s Ella and Gabrielle); Nice Work If You Can Get It (Original Cast/Asst. Dance Captain). National Tour: White Christmas (Judy Haynes). Regional: The Music Man (Marian Paroo); Sweet Charity (Helene); 42nd Street (Peggy Sawyer); A Chorus Line (Val); La Cage Aux Folles (Anne); and many more. Resident Artist with The Cape Playhouse. BFA: CCM. Many thanks to Richard Stafford and DGRW. Instagram: @kaitlyndavidson27. For Poodle. April is enthusiastic about returning to Vero Beach after making her Riverside Theatre debut in Memphis (Ensemble/Felicia u/s). Her favorite credits include Radio City's Christmas Spectacular (Vocalist and dancer), Bill T. Jones' workshop of Superfly, The Music Man (Ensemble/Zaneeta u/s), and Oprah Winfrey's Trip of a Lifetime (Dancer). You can find April online at april-holloway.com and thrive with her! Corey is thrilled to be making his Riverside debut with Chicago! Previous credits include National Tours: We Will Rock You (1st National), Regional: A Bronx Tale (World Premiere at Paper Mill Playhouse), Saturday Night Fever (Merry Go Round, Gateway, Ogunquit Playhouse), Miss Saigon (North Shore Music Theatre). BFA in Musical Theatre from The Boston Conservatory. So much love to my family, my sweetheart, DGRW, and this incredible cast, crew, and creative team! Meghan is delighted to be making her debut at Riverside! It was Vero Beach theatres that started her on her professional career in the early 90's, leading her to Broadway and regional productions, with some cruise lines, International premieres, and television thrown into the mix. Favorite roles include Charlotte in A Little Night Music (Orlando Shakespeare Theatre and Opera Cleveland), Madame Thenardier in Les Miserables (Arts Center of Coastal Carolina), John Hancock in 1776 (Mad Cow Theatre), Arcati in Blithe Spirit (Delaware Theatre Company), Golda in Fiddler on the Roof (freeFall Theatre Company), Madame Rose and Mazeppa in two different productions of Gypsy, and Emma Goldman in Ragtime. You might have seen her on Broadway in Mamma Mia, or offering great deals as a host for The Home Shopping Network on TV. She is a proud member of Actor's Equity and thanks you for supporting live theatre! Drew is thrilled to be making this his third show at Riverside, having last appeared as Bobby Child in Crazy For You and Guys and Dolls. Tours: Chicago (National, Tokyo, Dubai, Bangkok productions), West Side Story (Riff). Select Regional: Goodspeed Opera House, Goodman Theatre, Sacramento Music Circus, St. Louis Muny, Barrington Stage Company, Marriott Theatre, Stages! St. Louis and many more! TV: “General Hospital.” Drew would like to thank Richard, Allen, Ken, Gayle, And CTG for this opportunity. Always for Mom and Dad! Love and Light to all! Heather is thrilled to return to Riverside Theatre where she played Gloria Hawkins in Boeing Boeing. Broadway: Tuck Everlasting (Mae Tuck u/s & Betsy Foster u/s); Finding Neverland; A Chorus Line (Judy Turner, Orig Revival Cast & Cast Album recording); Wonderland (OBC: Mad Hatter u/s, Queen of Hearts u/s & Cast Album Recording); Soul Doctor (Holy Rebel, Mother u/s); Chitty Chitty Bang Bang. National Tours: Thoroughly Modern Millie (Miss Dorothy u/s and Miss Flannery u/s), Some Like it Hot (Sweet Sue u/s), Chicago (Velma Kelly). Off-Broadway credits include: Piece Of My Heart (Jessie u/s, Signature Theater); Mademoiselle Modiste (Fifi Modiste, Musicals Tonight! ); Happy Hunting (The York Theatre). Regional: Chicago (Roxie Hart; North Shore Music Theater); Boeing Boeing (Gloria; The Papermill Playhouse); Carousel (Julie Jordan). Twitter/Instagram: @heatherparcells Love to Matt. Kevin is delighted to be making his Riverside debut with Chicago. Broadway/Off-Broadway: Legally Blonde the Musical (ACCA Award); Show Boat (with the NY Philharmonic); The Explorers Club; I Love You, You’re Perfect, Now Change. Regional: The Producers, Radio City Christmas Spectacular (Nashville), Vanya, Sonya,… , It’s a Wonderful Life, All in the Timing, 9 to 5, Shear Madness. Film/Television: Boardwalk Empire (series finale), Tower Heist, Morning Glory. Audiobooks: Over 120 recordings including The Winds of War (Audie nomination), War and Remembrance, and (honestly) The Kama Sutra. Broadway: Chaplin (OBC) Cinderella, An American in Paris (OBC), NYC: Fiorello (City Center Encores) National Tours: Cinderella Regional: West Side Story (Papermill Playhouse) Mary Poppins (Marriott theatre) Aladdin, Damn Yankees, Little Mermaid, Beauty and The Beast, Footloose, Shrek (MUNYTheatre). Adam also danced with Pennsylvania Ballet, Sarasota Ballet and the Kansas City Ballet. Lauren is thrilled to be back at Riverside having done The Producers in 2011! National Tours: Cinderella, The Wizard of Oz, La Cage Aux Folles. NYC: Castlewalk (Ginger Rogers). Regional: Goodspeed, NSMT, PCLO, NCT, Maltz-Jupiter, Cape Playhouse, Mason Street Warehouse. Proud CCM grad. Endless thanks to Richard, Ken, Allen and everyone at Riverside, DGRW, my family and amazing husband Michael!